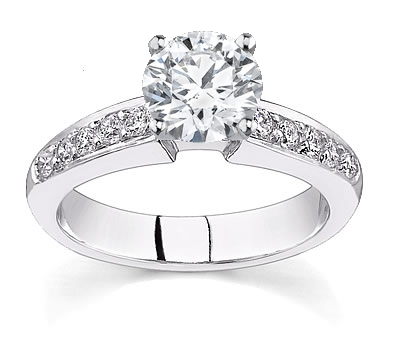 Adding the center stone of your choice will give your ring the look and feel of originality with this diamond engagement ring. This setting is adorned with 10 brilliant round diamonds which are nestled within the precious metal band. 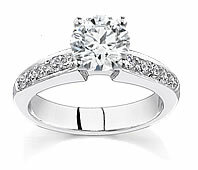 This ring will be perfect for the woman who wishes to have a ring that is classically styled with a hint of romance!